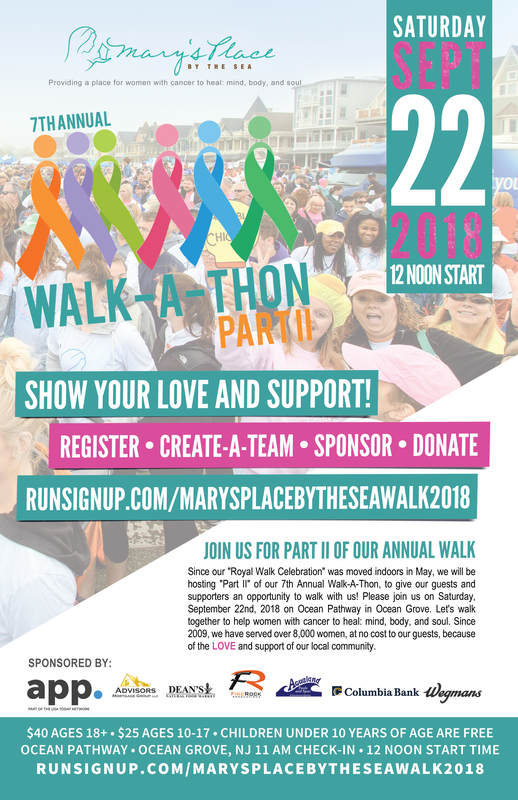 Register NOW for Part II of our 7th Annual Mary's Place by the Sea Walk-A-Thon on Saturday, September 22nd! Since our "Royal Walk Celebration" had to be moved indoors due to rain, we have rescheduled our 7th Annual Walk-A-Thon for Saturday, September 22nd. All those who were registered for the May 19th event will automatically be registered for the new date! We will also continue to raise funds and accept new registrations through September! We hope that you will put this new date on your calendar. Click here to register and create your fundraising team!